Don’t Miss it. New HKB 2.0 will be in Rome next week! GM Kenneth Lin will be in Rome Next Week! There are a few of my long standing blow hard haters who like to talk and there are a few imitation and clone new to the Understanding of Internal Power in Kungfu Circle right now who want you to buy their nonsense about who knows what when it comes to Real Internal Power Training. Do not miss the opportunity to experience live and directly with GM Kenneth Lin, because you will benefit from the lessons that will give you an extra boost in the understanding of a true system of Traditional Kung Fu ! To Learn Directly With GM Kenneth Lin. Define You Moment NOW ! Summer Camp Intensive Training with GM Kenneth Lin in Bali, Indonesia. My 2017 Gift To You…. Take Advantage of The Early Bird Special Rate TODAY! 3. To get the Early Bird Special Rate above, a $150 Deposit is required. Please proceed below to RESERVE your spot. The Seminar will be opened to whoever, internal Students or not internal Students, men and women,Kung Fu practitionners or other martial arts and combat sports (Boxing, Muay Thai, MMA), no matter which level (so don't feel frustrated from technical doubts). The program will be published soon on our website. 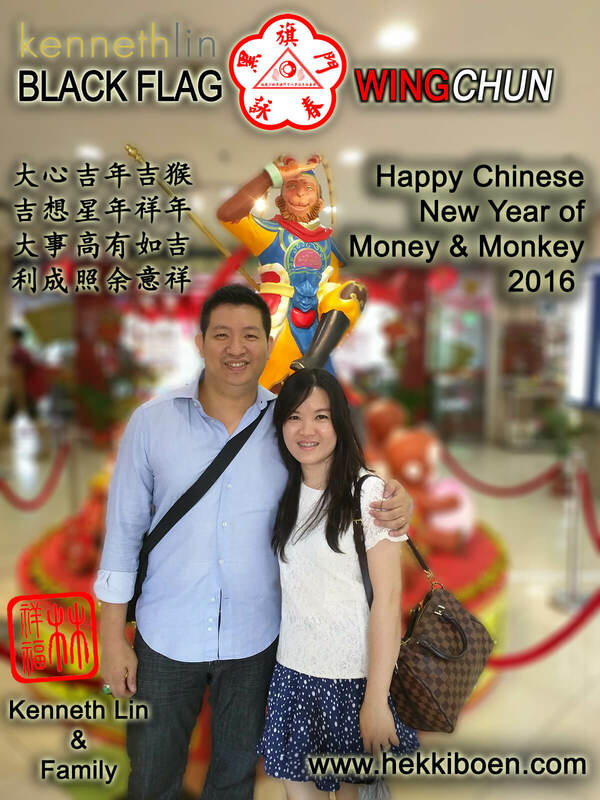 To get the Budget for the Seminar, I need to collect the money by 20.01.2015. The price includes: rent of the room, instructor, drinks. The seminar will be held with a minimum number of 7 participants. In case of interest, any teacher of other schools can contact us to have more info. The basic language will be English. During the lesson there will be translation in Czech, and in other languages if needed. You will fill in the registration form, which you will find on our website. Based on the completed registration you will receive a confirmation e-mail including information about how to pay for the course. I hope in your Cooperation. 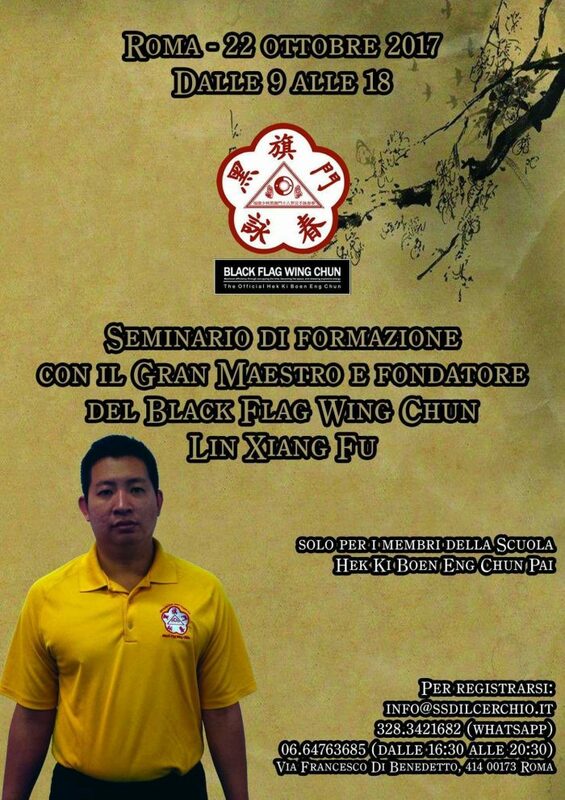 Let me start by giving a big CONGRATULATION to my main National Chief Instructor for Black Flag Wing Chun Italy; Master Riccardo Di Vito, for his recent success of his life-long dream in establishing the full time premiere National School of Black Flag Wing Chun Italia. GREAT WORK and WELL DONE! 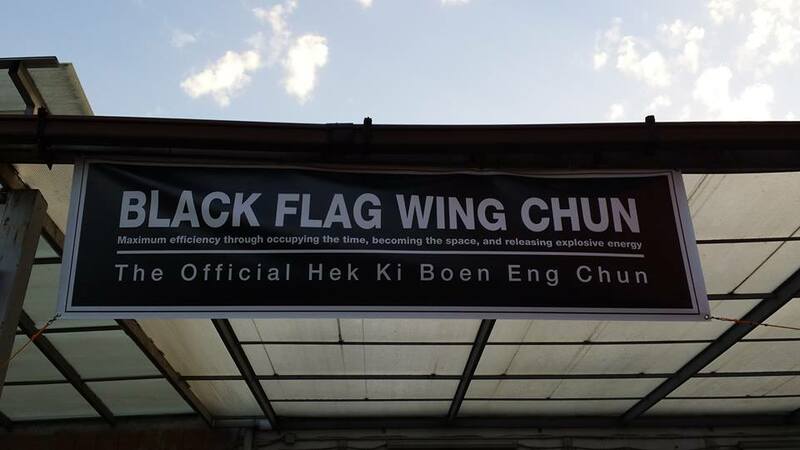 I can't express it enough how much I am so proud of his work and passion for spreading Black Flag Wing Chun in every corner in Italy. And it is time to give the big recognition that he truly deserve! Last, but not the least. I want to give everyone the LATEST and GREATEST Upcoming Event of 2014, that we will be conducting an HKB Winter Camp 2014 in HKB Roma National School while celebrating and witnessing the soft opening of Master Riccardo's school. 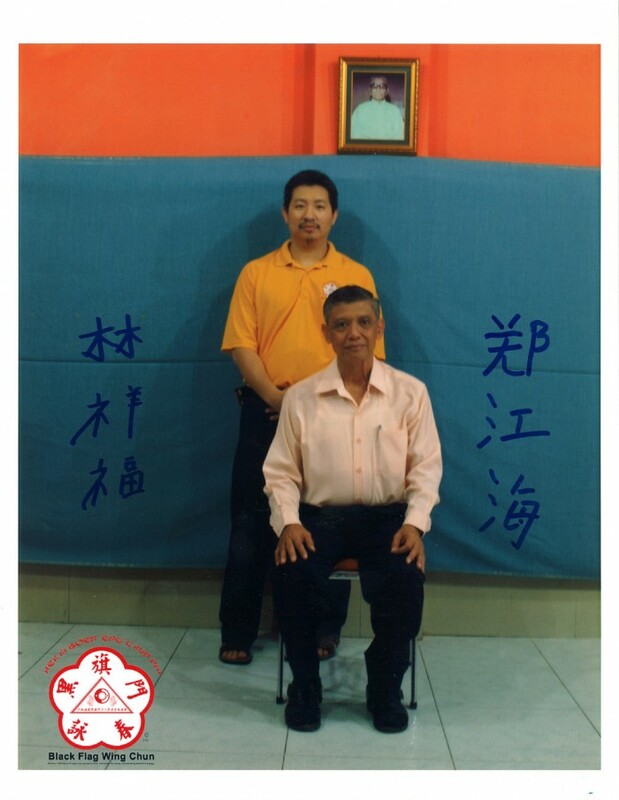 What makes this EVENT to be a LIFETIME Dream Event is that I will bring My Main Sifu, My Kung Fu Father, GM The Kang Hay to join us, celebrating this success by conducting ONCE A LIFETIME Grand Seminar and Workshop for Public as well Instructor training. There will be many of Instructors and members all over the world and many places from Europe that will be present as well. 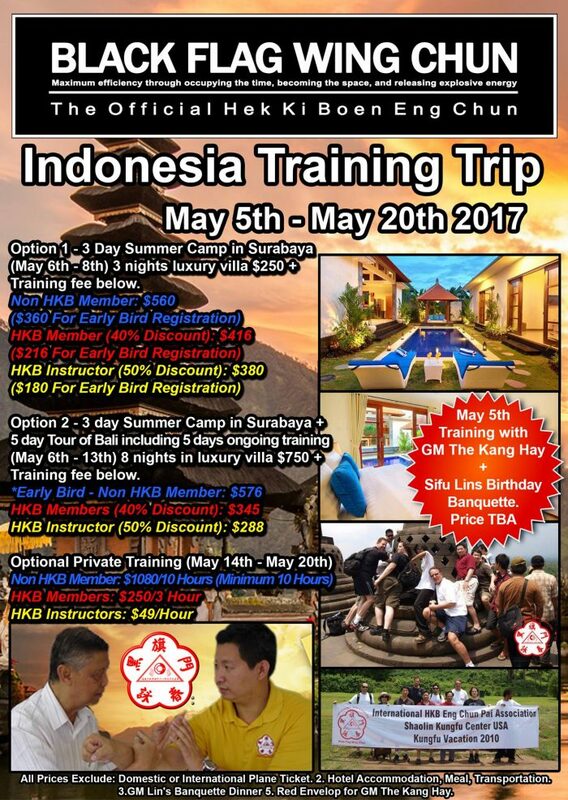 I will also bring a group of senior members and instructors from HKB Headquarter and USA to come with me for this special event. YOU DO NOT WANT TO MISS OUT THIS EVENT. Both Myself and My Kung Fu Father, GM The Kang Hay Will be there! 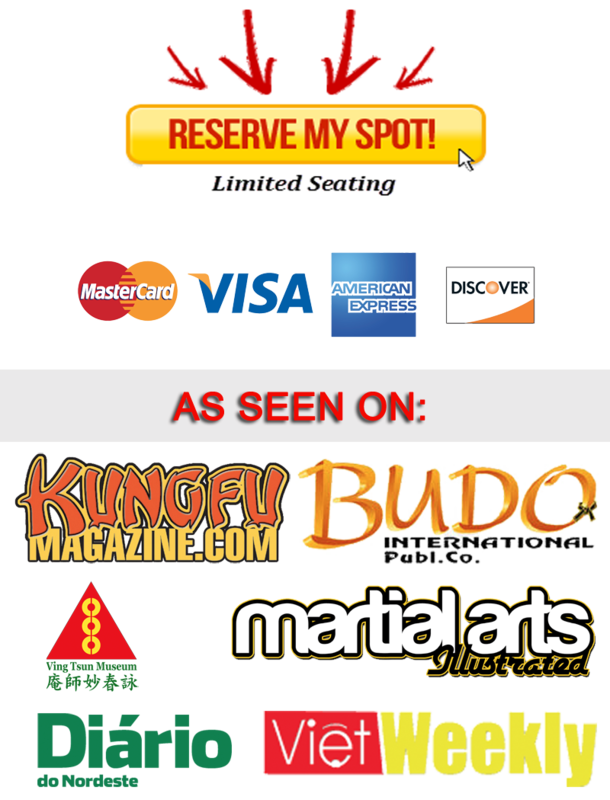 The Greatest Wing Chun Seminar and Workshop that We Will EVER Done in our life are in the menu this November! We will post the flyer and registration page soon! Stiamo pianificando l'HKB WINTER CAMP, l'ultima settimana di novembre, durante il quale ospiteremo a Roma il Gran Maestro Lin Xiang Fuk ed il suo Maestro, GM The Kang Hay, per la prima ed ultima volta in Occidente. Sarà l'unica occasione per lavorare con uno dei membri del circolo degli anziani della nostra Famiglia. Chiunque volesse informazioni in merito, mi contatti quanto prima possibile.